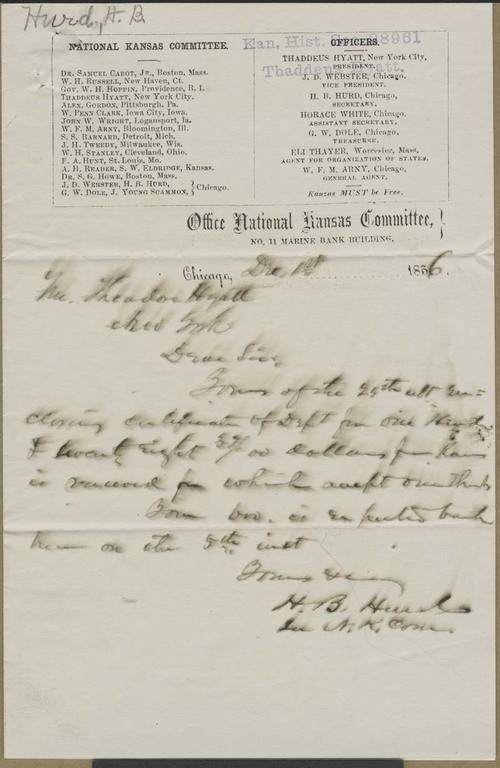 This letter was written by the secretary of the National Kansas Committee, H. B. Hurd, to Theodore Hyatt, whose brother was chairman of this committee. The most noteworthy aspect of the letter is the letterhead, which included a listing of the members of the committee, the executive officers, and their hometowns. It also included the address of their Chicago office.